As someone who writes about entrepreneurship and teaches others how to sell physical products online, I make a habit of following as many successful people as I can. It doesn’t matter if you’re famous or just starting out, I’ll at least check out your website to see what you have to say. But even though I love reading posts about entrepreneurship, I’ve become increasingly jaded with the cliches that I’ve been seeing. These articles all offer great advice but it is difficult to truly comprehend and describe these actions in words unless you’ve experienced them first hand with real people. For example, what the hell does “Fail fast and often” mean? Does that mean that I should purposely screw up over and over again? How the heck is telling me to “hustle hard” possibly going to help me? Bottom line, trite sayings will never help you. Instead, your success in business and life depends on your routine and your habits in life. After interviewing over 150 successful entrepreneurs on my podcast, I’ve noticed definite patterns of behavior that forces them to succeed. 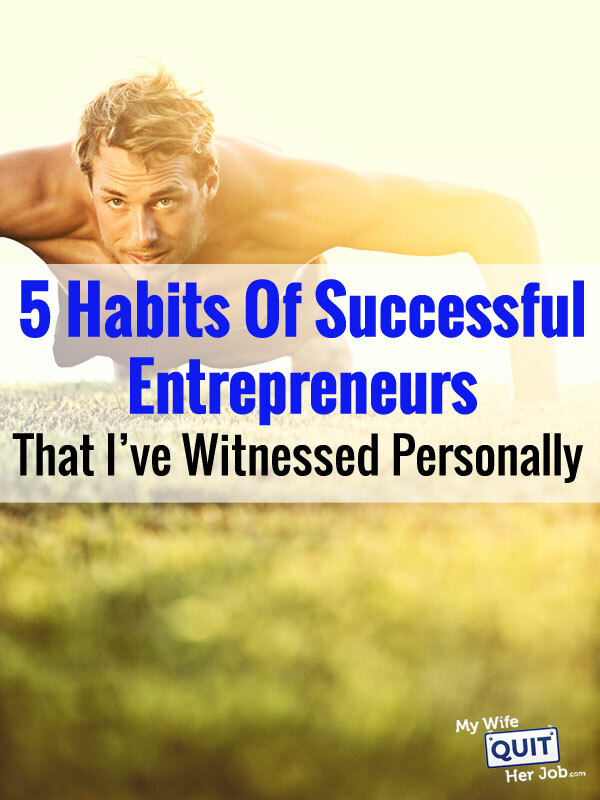 Here are the habits of successful people that resonate with me the most. Almost all of my friends who run successful companies have this uncanny knack for staying focused and not getting sidetracked by minute details. Now there’s a reason that this is the first trait on my list. Not only is it the most important one, but it used to be (and still is) one of my greatest weaknesses. Looking back, when I first started my wedding linens store, I kept getting stuck on stupid, meaningless details. For example when I was working on the first iteration of my website, I remember spending 8 hours tweaking the look of the sidebar and header for my online store. I would move our logo 10 pixels to the right, make the sidebar just a little bit wider and move things all around. After all of that tweaking, everything still looked pretty much the same and I wasted many hours that I could have been using to grow the business, especially in the early stages. If you’ve taken my free 6 day mini course, you’ve probably seen me talk about various shopping carts like Open Cart, Shopify and Big Commerce. Well here’s what I’ve come to realize. Even though I’m still a huge proponent of owning your source code and having the flexibility of an open source platform like Open Cart, 90% of you are probably better off using a fully hosted solution like Shopify or Big Commerce because the little details of site design can bog you down. Is your time better spent tweaking your website or formulating your sales plan? Good entrepreneurs know their priorities and will rarely waste time in any activity that doesn’t directly affect their end goal. Speaking from experience, it’s all too easy to become engrossed in something that appears to be significant on the surface but actually doesn’t really matter at all. Prioritize! One of the easiest traps to fall into is to try and do everything yourself especially if you aren’t the right person for the job. Most entrepreneurs will often try to save money on a bootstrapped budget even if doing so is not inline with their goals. They don’t take into account the time aspect of their work and think strictly in terms of dollars. But the best entrepreneurs I know optimize their time for maximum throughput. They know what they are good at and when to outsource. Those of you who know me well know that I always try to do everything myself even if I’m not the right person for the job. And I’ve been known to code up entire plugins on my own in order to avoid getting nickle and dimed with a monthly fee for a simple feature. For example, I recently coded up a custom review system for my store instead of paying for a popular review service that would have costed me hundreds of dollars per month. When I take on the task of doing something myself, I do so for the sake of learning. And I rarely have a strict time table. In addition because I teach a class on ecommerce, I feel as though I MUST have detailed knowledge of everything that I teach. In fact, what differentiates me from a lot of other teachers out there is that I actually do everything myself and know all of the little details. But if you are a brand new entrepreneur just starting out? You need to consider the trade offs of going cheap. When I first started out, I designed my own website even though I knew nothing about web development or programming php. And as a result of my lack of experience, I ended up spending a lot of time writing code that was already written by someone else before. I devoted many hours learning and struggling through something that I could have easily hired someone else to do in a quarter of the time. Now I don’t regret my decision to learn about web programming as I’m now self sufficient when it comes to web design. But realistically, my wife and I could have launched our store several months earlier had we hired an expert to do the job. Figure out your timetable and adjust accordingly. If you read my last post on being a lazy entrepreneur, hopefully you’ve realized that you don’t need to be great at EVERYTHING. In fact, you don’t need to be an expert at anything unless it is one of the core competencies of your business. Successful entrepreneurs are adept at learning and doing just the right amount of research and work to get by and not an ounce more. Going back to the web design analogy, you don’t need to reinvent the wheel in order to create a high converting website. 90% of the features you need have already been written by someone else in some shape or form. You just need to do your due diligence and find the required bits and pieces to put it all together. For example, before you hire a developer to implement something custom, spend some time looking for a plugin that already does what you are looking for. Personally before I start any coding project, I do a quick Google search to see what’s already out there. And 9 times out of 10, I can simply piece together and adapt existing code for my own needs. Great entrepreneurs don’t create anything from scratch unless they absolutely have to! Going out of your way to help others is my favorite trait of successful entrepreneurs. I’m not sure if it’s just a coincidence, but my most successful friends have gigantic networks of people who are always willing to help. And they’ve established these mutually beneficial relationships by helping each other out without expecting anything in return. In fact, I’ve never met a successful entrepreneur who also wasn’t an excellent people person as well. It seems as though making friends and helping others comes with the territory. This is the main reason why I started my podcast. As an engineer who likes to hide behind a computer screen, podcasting forces me to reach out and meet new entrepreneurs. And as a result, I get to talk to someone new and successful for a solid hour every week. Fostering lasting relationships is what I love about networking with new people which is why I try to attend as many conferences as my wife will allow me to attend. It’s also why I started my own conference called The Sellers Summit. Note: Tickets are on sale now and are going up in price every 2 weeks. Grab yours now! Above all else, being a successful entrepreneur is about listening to other peoples’ problems and finding solutions. Great entrepreneurs simply have a knack for fixing things. And the more people they can help, the more successful they become. Finally, great entrepreneurs are constantly learning. You’ve probably heard the story that the wealthiest entrepreneurs in the world read an insane number of books. For example, Warren Buffett has been known to read between 600 and 1000 pages per day and devotes about 80% of each day to reading. Bill Gates reads about 50 books per year. Now I don’t read nearly as much as Warren Buffett or even Bill Gates, but one thing that I have learned from the great entrepreneurs of the world is to keep an open mind. After all, just because you are successful today doesn’t mean that it will last forever. And you have to be constantly evolving your business in order to stay relevant. My favorite example of this is with Netflix. Even though they obliterated Blockbuster and were killing it with their mail order DVD rental business, Reed Hastings made the tough decision to focus the business towards streaming video. Now in hindsight, this seemed like an obvious decision but back in the day, DVD rentals were 99% of their business. One of my favorite quotes of all time is from Andy Grove of Intel who once said “Only the paranoid survive”. If you are stuck in your ways and unwilling to change, then someone will eventually overtake you. And the only way to change is to expose yourself to new and different ways of thinking. Even though I admire all of these habits and traits of successful entrepreneurs, there’s no way to just flip the switch and adopt these habits immediately. It’s a gradual process and something that I myself am constantly working on in the background. For example, every week I force myself to take a step back from my work and look at the big picture. I analyze what’s on my plate and figure out how to simplify and do the least amount of work possible to achieve the desired result. I decide if it makes sense to outsource more. I spend a good portion of the week keeping up with trends and new strategies for success. And I attend as many conferences as I can. What are you doing to change your habits? They used to call this relationship marketing. With the advent of social networking I’m not sure what to call it. I would add that every entrepreneur that I know has an incredible enthusiasm for new ideas, and a drive to see those ideas come into being. Great post! I am learning to give up control and start delegating tasks! I like to be an entrepreneur, however I don’t have the opportunity (or perhaps not brave enough) to make that happen. Sad to say that, until now I’m still a worker. 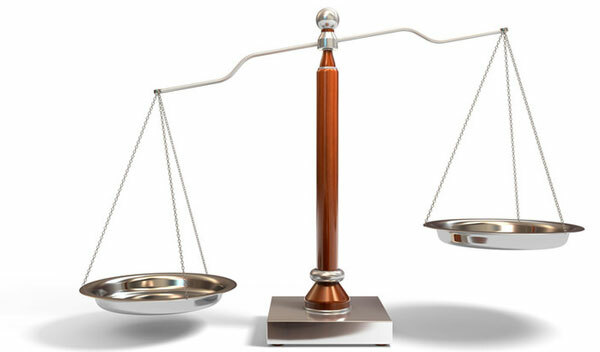 People say that there are pros & cons of being either an entrepreneur or a worker. Being a worker you will have the stable income, but difficult to become rich. On the other hand being an entrepreneur is risky, you may either get rich quickly or run out of business fast. Anyway, I enjoy reading your article, thanks for sharing. I could not agree with your first point any more – that seems to be the path to destruction for so many entrepreneurs – that must be avoided! But it is still so difficult! All these are very good tips. And I am culprit to getting stuck on these very particulars. But, I also think that in the beginning all entreprenuers get stuck on the little stuff because you want to be ‘perfect’ and have all the p’s and q’s in order (yes, I have wasted countless hours on aligning a sidebar, too. lol). I think those traits are learned as time goes on. The one I really need to practice…delegating. That’s a tough one! I tend to get stuck on the details way too much. I actually do a much better and efficient job when I don’t get stressed out on the small stuff. It took me a long time to get use to delegating tasks but once I did – things improved a lot. Along with letting go of details and letting someone else do the things you’re not good at, you also have to give up on the urge to micromanage. Like you, I find it very difficult to let go of the details and to let someone else do the work. I am fortunate that once I do decide to let someone else do a task, I don’t want to stand over them and dictate every step. Once again great post. I still struggle with many of the points you raised, even though I’ve come to recognize my flaws and have made good progress. Reading about the habits of successful entrepreneurs here in one place serves as an excellent reminder to us all on how to stay on track and focus on important rather than trivial things. Thanks for putting this together and sharing. I’ll be sure to pass it on! Your comments about StumbleUpon are kind of ironic because that’s how I found your site! I think successful Entrepreneurs stick to what they know. I believe you can be successful at anything if you put in the time and look for challenges. My biggest weakness is getting on task. Focusing on the big things, rather than getting caught up in the little things. Great post! You are right that as entrepreneurs we should look at delegating out work and make sure that we take consistent action. I couldn’t agree more with this article. I use these habits with my own landscaping business. Opportunity is out there and so is your success. You just need to adapt, remove the bad habits and implement healthy habits such as these. This is a great article with so many takeaways. Great work! I personally know very few entrepreneurs, but none of them had ever used any of the cliches you mentioned as an excuse to feel less guilty about failing. However, being guilty of failing to delegate or paying too much attention to unimportant details is very common. This very informative and stuff. The way of you explained is magnificent, and anyone can easily understand. I think some of my friends want this stuff. It’s worth able to share with my friends. The way of you explained is magnificent, and anyone can easily understand. I think some of my friends want this stuff. It’s worth able to share with my friends. Great Article . Very informative as well. Once again tahnks and keep up the great work! !